At Beansprouts, campers are destined to make incredible friends. Our summer camp uses not only our fully stocked Beansprouts rooms, but also our beautiful private yard. Upper campers enjoy weekly trips around the city as well as weekly instructional swimming! Finally, every week at Beansprouts summer camp wraps up with a visit from the Ice Cream Truck on Fridays! Our swim program, led by our very own Beansprouts Aquatics Director, is designed with every child in mind - whether it be their first time in the pool or their 1,000th. Our upper campers have weekly private swim instruction and our oldest campers (1st-5th grade) have instruction twice a week. Our skilled coaches instruct campers in weekly soccer, as well as a diverse range of sports, at any level. While we hone our skills, teamwork and sportsmanship are always at the forefront of what we do. 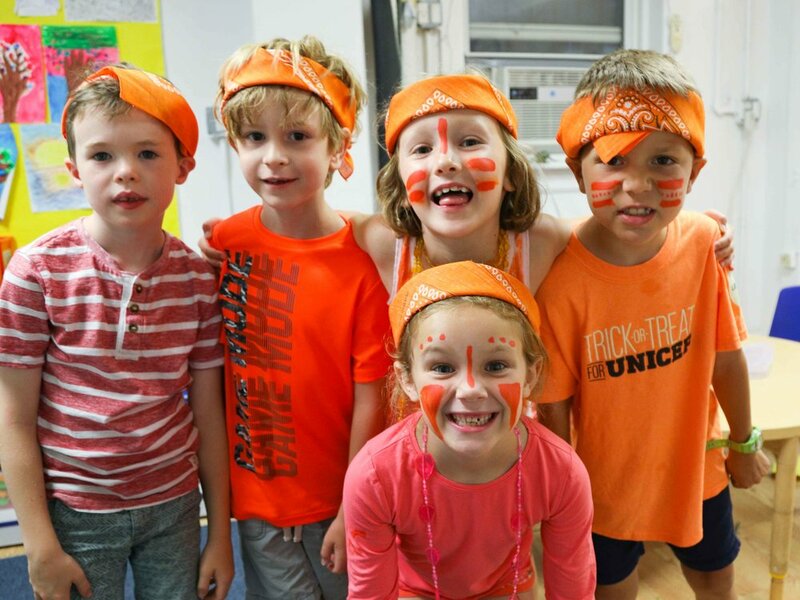 From our special themed weeks to talent shows, to our camp-wide Olympics - traditions at Beansprouts are what our campers talk about all year round. The program for children entering K-5th Grade includes weekly trips around the city - from Bounce U, to the Bronx Zoo, Luna Park, and more! Here, campers are 110% taken care of. Our Beansprouts staff members are not only friendly, compassionate people, but they are also talented mentors who instruct and inspire. We continually update our buildings and activity areas with modern equipment to exceed standards of safety and quality. Every room has AC, which keeps us cool in the morning and allows us to recharge after playing outside in the afternoon. Beansprouts provides everything campers and parents need to feel right at home. Don't miss out on an amazing summer experience. Here you will find enthusiasm, kindness, passion and diversity. We're more than just camp. We're Beansprouts. Join us for a Day Camp tour! We offer afternoon tours with one of our Day Camp directors. Sign up below.